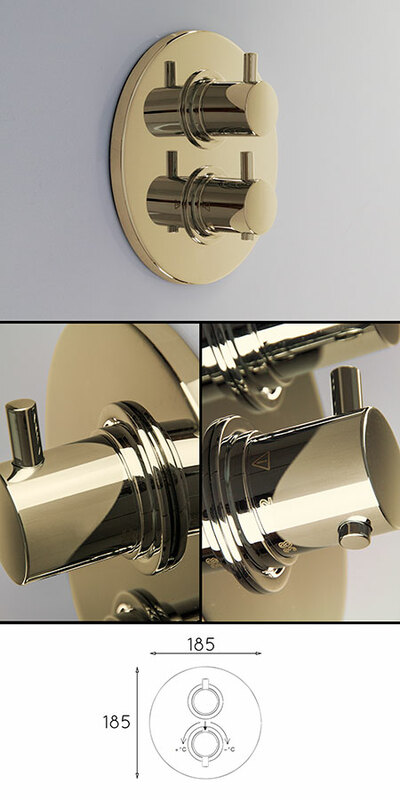 This gold shower valve is thermostatically controlled and designed for recessing into the wall fixing. Available in a single shower function as well as a 2 way multi-funtion shower control. 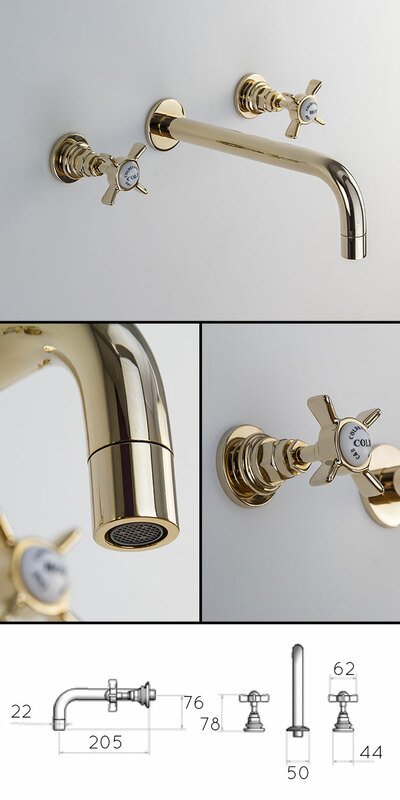 Each thermostatic shower control is made in Europe in solid brass with a thick gold plated finish. * Made in brass with gold finish. * Single & double shower functions.